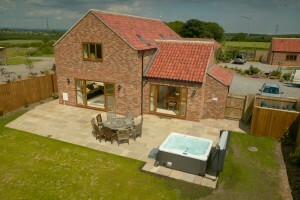 The Granary is the latest addition to Middleton Cottages in North Yorkshire. 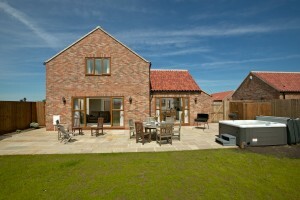 Sleeping up to ten guests across five bedrooms, The Granary is perfect for large families, reunions and get togethers. 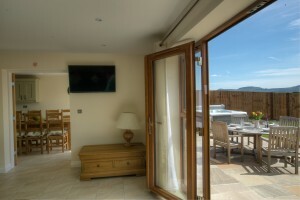 With spacious open plan living areas, French windows opening onto a large patio with barbecue and hot tub, The Granary is proving very popular for large groups, wedding guests and other important gatherings. 1: located upstairs is the master suite with a super king bed, fitted wardrobe, dressing table and large family sized en-suite bathroom including bath and separate shower with views of the Cleveland Hills. 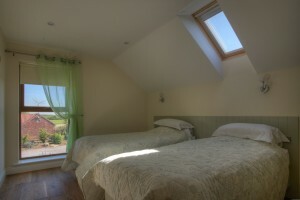 Bedroom 2: located upstairs, has a double bed, fitted wardrobe and dressing table, en-suite shower room. Bedroom 3: located upstairs with twin beds, fitted wardrobe, and dressing table, en-suite shower room. Bedroom 4: located downstairs with double bed, fitted wardrobe and dressing table, en-suite shower room. 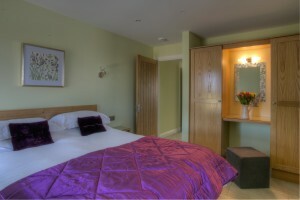 Bedroom 5: located downstairs with twin beds, fitted wardrobe and dressing table, en-suite shower room. Large kitchen with large kitchen table seating 10, fridge freezer, washing machine, wine cooler, range cooker and patio doors opening onto private garden and hot tub. Living room is spacious with large sofa and flat screen tv. 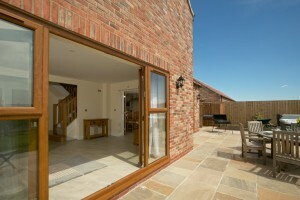 The patio doors open on the private garden and hot tub. The cottage has free wifi.